Let me start with, that I really enjoyed this drama. This doesn't have much of a romance factor as it is very subtly done but the best thing about this is the bromance. The main reason I watched this is because of Ji Sung. I've seen many of his works before to have realised that this guy is an amazing actor. I fell in love with his characters in the past and the way he executed them, that I literally cannot pass up anything that he comes in the future. If you're a big Kpop fan then the cast will definitely be to your liking and in my opinion, they all did a good job in portraying their roles. The four boys together had great chemistry which made me wish that they were an actual band of their own. HyeRi does take some time to gel into her own character but she eventually does and it's a delight to see her. The story is straightforward, failed manager guy decides to make a band and make them big. Obviously, many obstacles come in the way and this is all about the character development of all the characters and how they overcome these obstacles together. The boys as a band were great so was really sweet how they slowly open up to each other about their hidden secrets and how they support each other despite all the hard comings. The chemistry between Ji Sung and Kang MinHyuk was so cute because they had a genuine brother relationship that was so exciting to see. Overall, I enjoyed myself thoroughly seeing the connection between all the characters and how they accept each other. I would definitely recommend to try this out as you'll definitely have a warm feeling inside whilst watching this! Some dramas you watch because the story captivates you. However, this is not why I watched this. I simply watched this because Jang Geun Suk was in it and he was one of my first biases in kdrama land so, as a loyal fan I had to try this out. The drama started off interesting as many awesome characters were introduced. For example, I have to talk about the actor Choi Min Soo as King SukJong. He played the character so well, I could literally feel the chills whenever he was on screen. One of my favourite aspect of the show was when his scenes came on. Jang Geun Suk as Baek DaeGil, started off as a good for nothing young boy who eventually becomes a great swordsman as he takes revenge. I feel that he executed his character well and seeing him was a delight and definitely made it worth my while. It was my first time seeing Yeo Jin Goo in a main role and I was pleasantly surprised. As a young actor, he acts very well and he definitely stole the limelight whenever he graced our screens with his presence. Jun Kwang Ryul as Yi In Jwa was a menacing character that we as the audience were all meant to hate and I do feel that he did justice to the role and many times, his cunning ways made me dislike him so much. Although there were all these interesting characters as well as amazing actors playing them, there were many pointless characters in this drama too. Characters that made me scream WHY ARE YOU EVEN HERE. That aspect was a downer because it seemed that they were just inserted for filler scenes and had no connection to the story whatsoever. As I mentioned earlier, this drama STARTED off well however, as episodes went on ,the story had just spiraled into a totally different direction. There were many times I got confused and bored. There was no character development in some parts.The character would be saying something and then doing completely different later on with no specific justification for what and why they changed their minds. Many pointless deaths that made no sense and didn't add to the story at all. Basically, the plot went haywire at some point. The music was actually very enjoyable, I found a couple of the songs stuck in my head and had to go and download them. Overall, I would say if you really like sageuks and would love to see Jang Geun Suk doing amazing sword fighting then go ahead and watch it but be prepared to question the justification for certain characters or scenes. Normally, I wouldn't watch this type of drama at all. 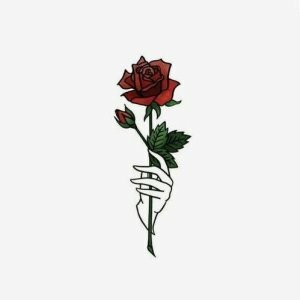 It just doesn't really fit my type of genre but I had to start this because of Key. I've always known he had a talent in acting but never really got a chance in dramas so this was something that I was so happy to see. It started off okay and was a bit slow paced but it picked up after a few episodes. The comedy in this was really good, I was laughing along with it a lot. I felt like I could relate to the students' struggles of juggling all the studying, work, friendship and love lives from my own past experiences and they portrayed it in a realistic manner which was refreshing to see. I am definitely gonna miss this drama. I am so glad I started this drama because it turned out to be such a great watch and I'm going to venture more into this genre because of how much I enjoyed it. Overall, lots of fun to watch so I would highly recommend it!